- Available in brass, iron, aluminium, stainless steel. As a quality focused firm, we are engaged in offering a high quality range of Metal Bag Chain. 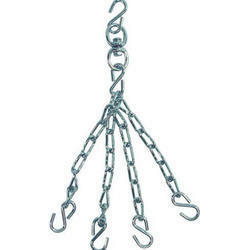 We are indulged in offering the finest quality Punch Bag Hanging Chain. 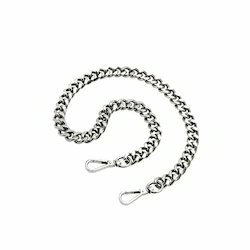 We are amongst the most reputed names in the industry, offering Bag Chain. We are offering high quality Bag Chain. These are widely appreciated by our clients. These are made from high quality of raw material which ensure durability at its user end. Our clients can avail from us these products at most competitive rates. ladies purse and bags cha. We are able to supply a qualitative range of Bag Chain. With sincerity and hard work of our experts, we have carved a niche for ourselves in this domain by manufacturing and supplying Punching Bag Chain. Range : Rs 17 per metre to 20 Rs per metre. Our reputed entity is engaged in supplying Bag Chain.